Did You KNOW about The Curvy Sewing Collective? Did You KNOW about The Curvy Sewing Collective? I KNOW RIGHT? I have been asking for a sewing machine for Christmas for the past two years. I have had this resurgence of creative energy (sketching more, wanting to sew again) and now that I have my own SPACIOUS space with a place to actually get down and sew, I am here for all of this! I will break down and buy myself a sewing machine. Amazon has this Brother one on sale! Any who, this is how I knew that the universe was telling me something- I FOUND the CURVY SEWING COLLECTIVE! I have shared a bit about them on Facebook, if you follow me there, but yes! There is a great community of plus size women who sew, compare patterns, and talk about issues common to those who sew! Started THIS SPRING, the Curvy Sewing Collective was launched by Jenny and Mary, is more than just blog posts and how tos, it is more than that! Not only are there really great sewalongs, they have a forum! YES! The Curvy Sewing Collective Forum! They have a forum where you can get in there, ask questions, ask for a sewing mentor, talk fabrics, and so much more. I mean. Can you see why I am excited? But they also have this section for beginners! Like they did this post on Full Bust Adjustment and it is thorough! Hecka Thorough!! Right now, they have this wrap dress sew along going on right now, and I am so here for this. They identify various patterns, and this week, they will highlight picking the right fabric! Talk about resources, they even have a section where they list out brands that make plus size patterns! You can learn so much more by visiting CurvySewingCollective.com! How cool is this? Are you one who sews? Is this a site you will frequent? If you have any other sewing resources, share them below! Thank you for this post! I’ve recently had the urge to start sewing. Well it’s mostly due to the fact that I am a plus size woman, and it’s hard for me to find the clothing that I really want in my size all the time. 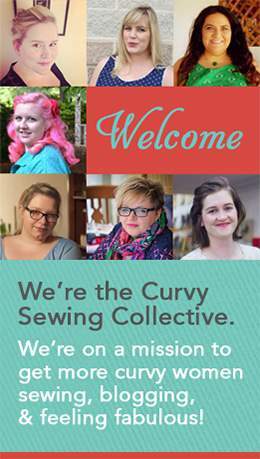 I am definitely going to visit the Curvy Sewing Collective website. Such a great web site! Yes, I sew my own clothing! To be honest, I prefer sewing to shopping RTW any day! 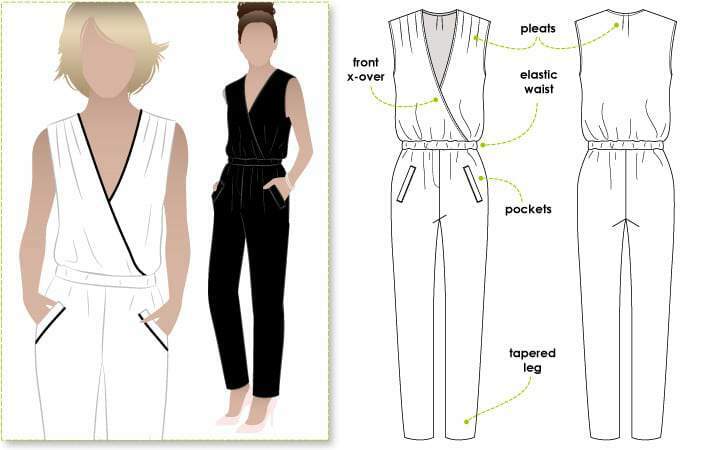 Instead of settling on what RTW thinks my body should fit into… and rarely actually FITS… I can draft the pattern, choose the fabric, and have a real custom fitting garment in just a few hours. And it is very satisfying to be able to say “Thanks, I made it”.